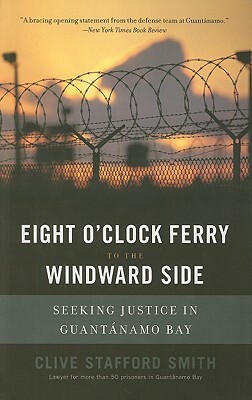 Every time human rights lawyer Clive Stafford Smith lands in Cuba, he takes the eight o'clock ferry to the windward side; his journey ends at Guantanamo Bay. One of the few people in the world who has ongoing independent access to the prison, Smith reveals the grotesque injustices that are perpetrated there in the name of national security--including the justifications created to legitimate the use of torture and the bureaucratic structures that have been put in place to shield prison authorities from legal accountability. By bearing witness to the stories of the forty prisoners that he represents, Smith asks us to consider what is done to American democracy when the rule of law is jettisoned in the name of combating terrorism. Clive Stafford Smith is the Legal Director of the UK charity Reprieve, whose clients include forty detainees in Guantanamo Bay and prisoners on death row. He lives in London, England.